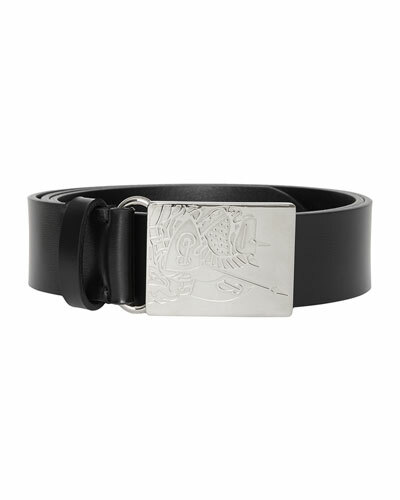 The ultimate finishing touch, Burberry belts have the power to transform a look instantly. 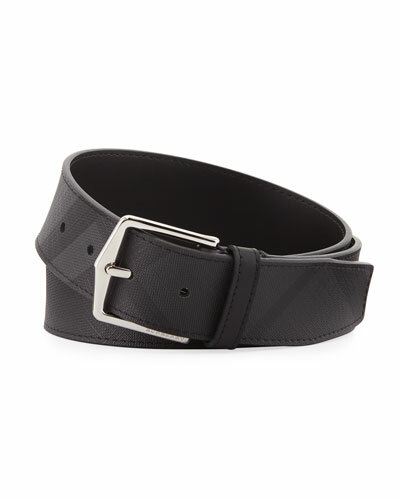 Offered in a variety of rich colors, some with subtle check patterns or a refined pebbled texture, Burberry men’s belts feature the quality details associated with the brand’s distinguished image: high-quality leather, sleek matte and polished hardware, and artfully engraved buckles featuring the brand’s name. 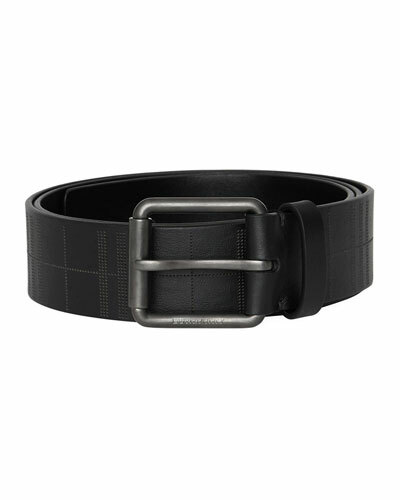 Burberry belts pair beautifully with tailored suits, as well as with casual chinos and relaxed-fit pants. 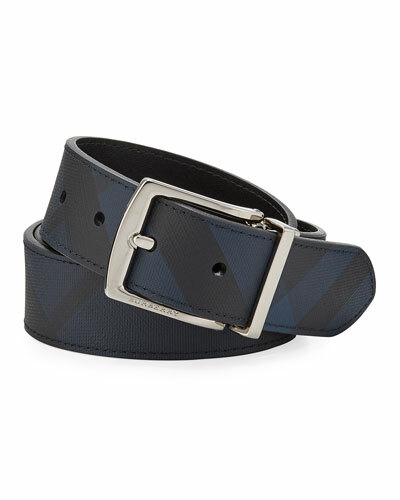 Reversible styles provide versatility, featuring a solid color on one side and an iconic check on the other. 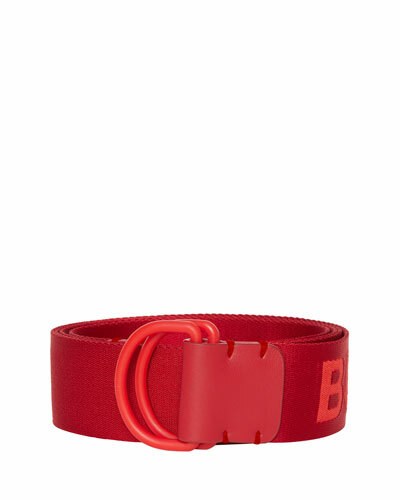 You may have difficulty settling on which Burberry belts to buy, but you’ll never miss an opportunity to wear one. 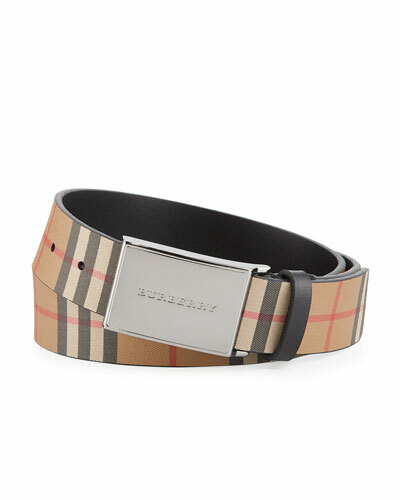 Established in 1856, Burberry has enjoyed an elite status among fashion aficionados with its distinctive British sensibility and strong reputation around the world. Times and trends may change, but Burberry adheres to a modern design approach, while never straying far from its dapper, gentlemanly roots. 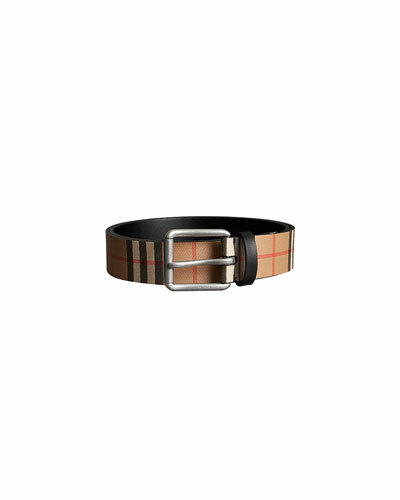 Visit Neiman Marcus and try the same Burberry belts men everywhere rely on to elevate their look from prosaic to polished.